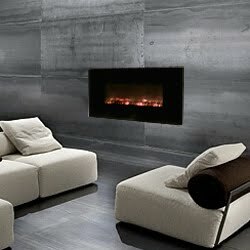 As well as being a source of warmth, a well chosen fire can become a real feature in a room. Yet with so much choice available, it can be difficult to know which type of fire will suit you and your home, and this is where we can help. From traditional to ultra-modern contemporary, there are a wide choice of electric, gas and solid fuel fires and stoves in a range of different colours and styles available, as well as a wide selection of surrounds, hearths and finishing touches which will both compliment your fire, and create the mood, atmosphere and look you want. There are a number of factors to consider when choosing a new fire, For the contemporary look there are a superb range of sleek, ultra modern fires and surrounds available. However, if you’re looking for something a little more classic, many traditional style fireplaces have been based on period designs. Once you have chosen the style of fireplace, you will need to establish which fuel option best suits your requirements - gas, electric or solid fuel. If you would like a gas or solid fuel fire, the type of chimney you have in your home will determine which fire is most suitable. 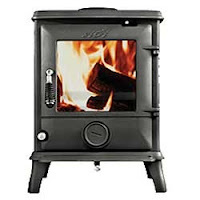 The type of chimney or flue you have in your home will usually dictate the type of fire you can have. If you don’t have a chimney or a flue you can choose any electric fire, or, if you fancy a gas fire you can choose one of our flueless options..
Flueless fires remove harmful gases via a catalytic converter. 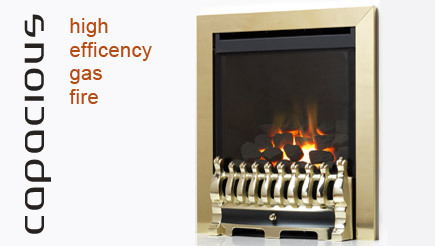 This results in a highly efficient fire since no heat is lost through the flue. Please note that flueless fires are only suitable for certain sized rooms and require adequate ventilation.